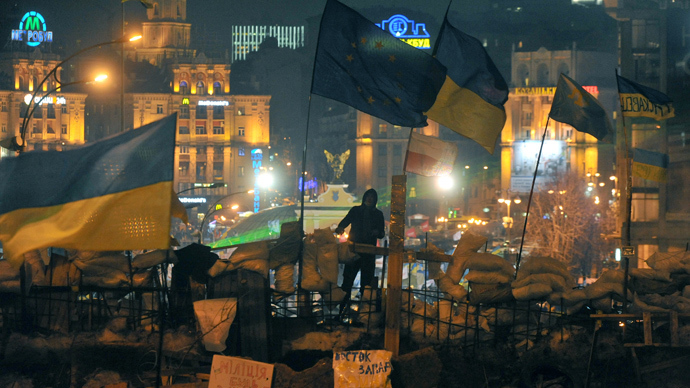 "People of Ukraine, this is your moment. This is about you, no one else. This is about the future you want for your country. This is about the future you deserve," McCain said. Murphy also urged protesters to continue the fight. 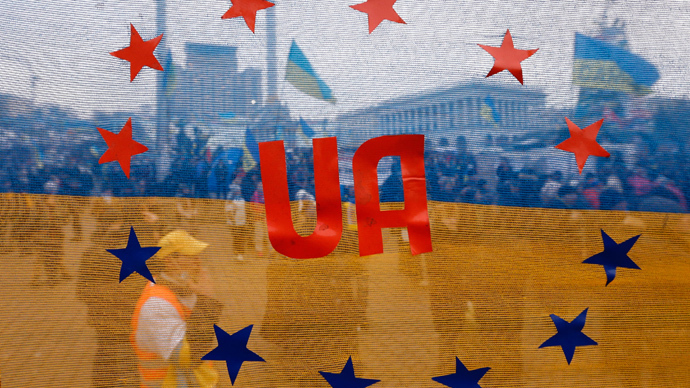 “Ukraine's future stands with Europe, and the United States stands with Ukraine," he said. McCain also met with imprisoned opposition leader Yulia Tymoshenko’s daughter and said he supported sanctions against specific officials in the Ukrainian government, Tymoshenko's Batkyvschina party said in a Sunday statement on its website. "This morning the daughter of opposition leader Yulia Tymoshenko, Yevgenia...held a meeting with US Senator John McCain," the statement reads. McCain talked about "the possibility of bringing in personal sanctions against senior officials in [President Viktor] Yanukovych's regime, including those implicated in the politically motivated persecution and jailing of Yulia Tymoshenko," it continues. 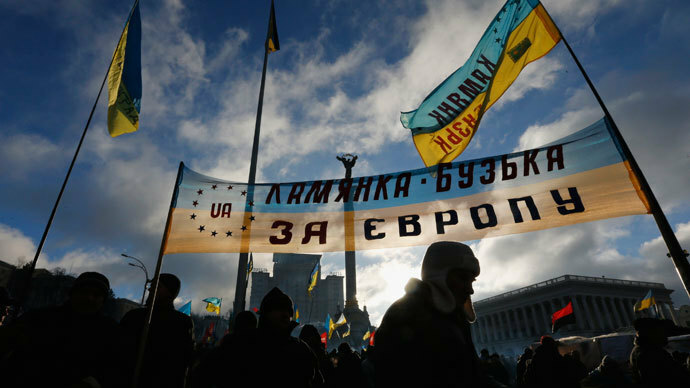 Commenting on the news, the Ukrainian PM’s office said Kiev has a strong intention to continue negotiations with the EU. But Ukraine will only respond to official messages from the Europeans - not tweets - a spokesman for the Prime Minister added. During a meeting with opposition leaders - former boxing champion Vitaly Klitschko, former economy minister Arseny Yatsenyuk and far right nationalist Oleh Tyahnybog - McCain was asked for more than just moral support from the US - referring to the possible introduction of sanctions, UNIAN reported on Saturday. 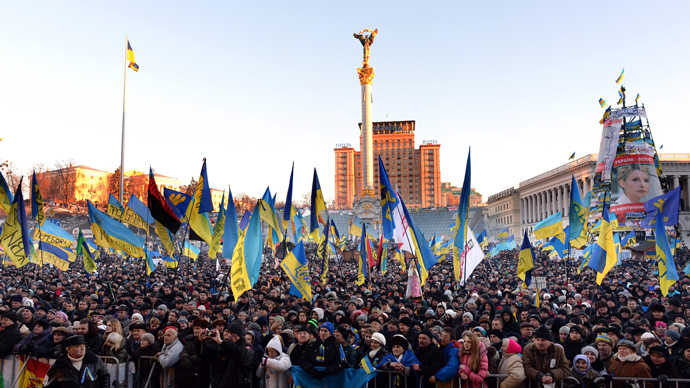 "The reasons they are there is bluntly because these people want to detach Ukraine from Russia - as they see it. And they think that by supporting the protesters in Kiev, they might actually achieve that. The problem with the head strategy is that it’s simply not working. The bonds between Ukraine and Russia - economically, culturally, and ethnically - are simply too strong,” he said.